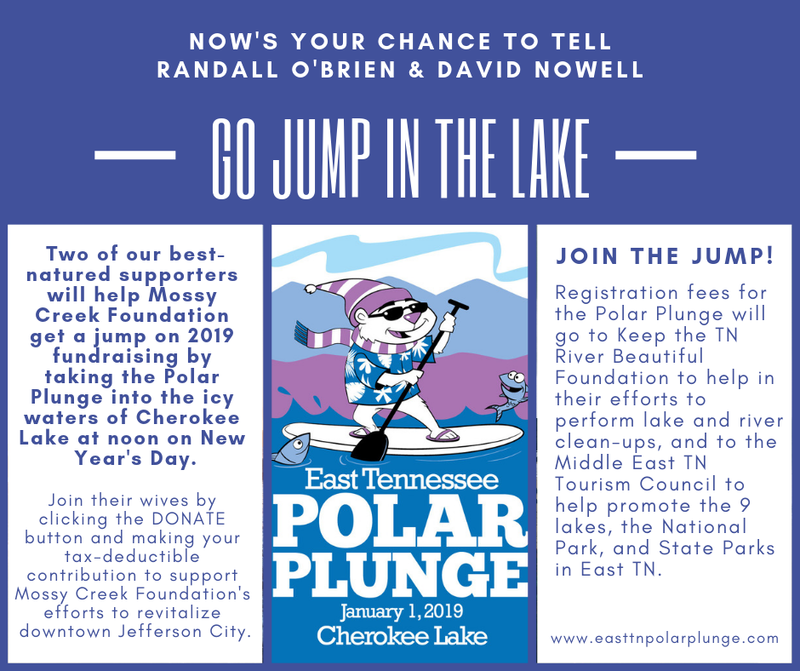 Mossy Creek Foundation is a big fan of “firsts” when it comes to family-friendly community events, so New Year’s Day will find us supporting the first East Tennessee Polar Plunge! In fact, two of our best-natured supporters will be TAKING THE PLUNGE and raising money for 2019 revitalization efforts in the Historic Mossy Creek District. JOIN THE JUMP! Details HERE.